So often we find ourselves in situations where people are trying their best to help us when in reality they very well may be hurting us. I can see how being a loved one of someone with CRPS can be challenging in more ways than one. You may find yourself not knowing what we want from you. I hope these 5 Do’s and Don’t give you more insight as to how you can help and comfort us. DO: Ask us how we are doing. Our CRPS is something that is always on our mind and we appreciate knowing that somebody is thinking about us. You don’t need to worry about bringing up a sensitive topic because, chances are, we have already been asked what you are wondering. I know you may feel uncomfortable approaching the situation, but with it going unspoken about it is just as uncomfortable! You asking us how we are doing and if anything is new shows us that you care and gives us somebody to talk to. DON’T: Ignore and fail to acknowledge that we are going through a hard time. We know you may feel sorry and not know what to say or how to handle the situation. You not acknowledging the situation makes us feel hurt and abandoned. It makes us wonder how we are supposed to handle the situation on our own without our loved ones support. DO: Listen to not only the happy parts of our illness, but the sad parts too. Use the stories you hear from us as knowledge that you can then share with others. Awareness is key; knowing that you are helping spread awareness is one of the most comforting things you can do for us. DON’T: Disregard the “ugly” parts of our illness and only spread the happy parts. This is hurting us in so many ways. It stinks but these days people need to see the bad in order to support you and have sympathy (although sympathy isn’t what we are after). 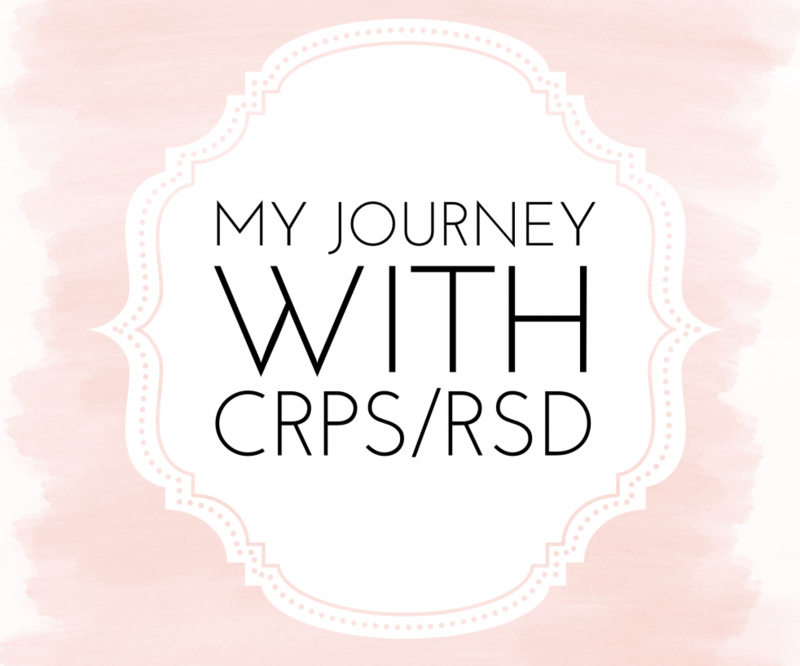 It is so often that CRPS gets brushed aside and people don’t believe how much we suffer. This is because you are only aware of the person who benefited from a treatment, the success stories, or the smile that we always have on our faces. People are not aware of the person who is bed ridden, has lost all function, or breaks down more times than one can count in a day. DO: Offer us your help when we are not feeling well. Even though there is nothing you can do for us that will cure us sometimes just knowing your willing to help is enough to put a smile back on our face. Please know that any way you help is benefiting us, no matter how big or small. DON’T: Say “I’m sorry” and give up on helping us because you think it is useless. When we text you saying we don’t feel well, take that as an opportunity to help us or take it as a call for help. Sometimes just having your company is enough to put a smile on our faces. Although when you give up on helping us and stop offering us help it makes us feel as if we should give up on feeling better. DO: Offer to come over and lay in bed with us or make us something to eat when we unexpectedly cancel plans. So often, our needing to cancel last minute is seen as not wanting to spend time with you. In reality, we are heart broken that we can’t get out and do something fun with you. We would still LOVE to have your company even if it means you sitting next to us as we doze in and out of sleep. DON’T: Accuse us of not wanting to hang out with you when we cancel unexpectedly. We are already upset enough that we can’t see you. When we see that you are annoyed or disappointed with us it makes us fall into a deeper state of depression. Please know we really want to spend time with you and that we are in a constant fight with our body!!! DO: Tell us that you can’t understand completely but are always there for us and will do anything to understand better. It is ok to tell us you can’t relate. That doesn’t make us feel sorry for ourselves, it actually makes us happy since it shows that you believe that what we are going through is very hard. We love to know and it’s comforting to know that you will do anything it takes to understand or even get a glimpse of what our life is like. DON’T: Tell us it could be worse and not support us. You have no idea what we are going through and are not in a position to tell us that it can be worse. That is the most disheartening thing you could tell us. It shows us that you don’t believe how much we suffer. Please remember that different hardships come with different illnesses and no two are comparable. This comment is not comforting to us. Next time you find yourself in a situation where you are not sure what to say or do, please remember these 5 things. These can make a huge difference when it comes to our relationship with you and our overall well-being. We hope this helps explain everything a bit better and gives you a glimpse of our side of things. Thank you for supporting us and if you are a loved one reading this- thank you for making an effort at helping us. This article of Do’s and Don’ts is extremely helpful! As an RSD suffered for more than 17 years, I’ve not heard it summed up more perfectly than this. Thank you, thank you.! I will try to share this list with friends and family.